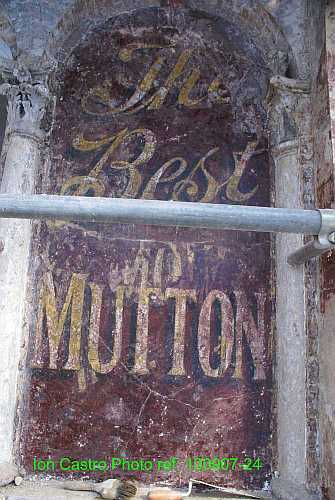 A bit of local history revealed in Kings Road. 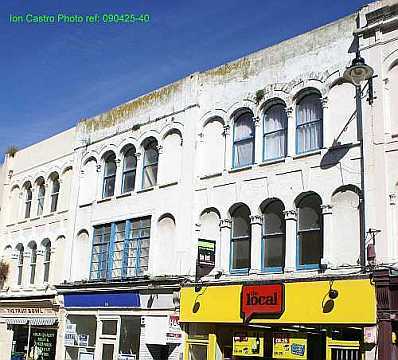 Ion Castro was sitting at home one afternoon in September in 2010, gazing out across the valley to Hastings Castle and the wonderful townscape of Hastings’ Victorian terraces piled one upon the other up the side of the West Hill when the peace and tranquillity of his cogitations was shattered by the ‘phone ringing. It was Ion’s old friend Bru, asking if he knew about the signwriting being revealed in Kings Road. Daydreams banished it was hot foot to Kings Road. 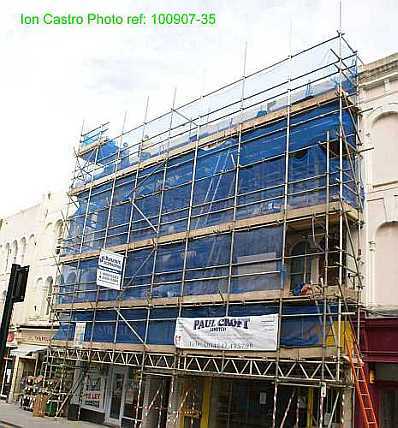 Work is being carried out at No’s 23 and 24 Kings Road in the course of which paint is being removed from the façade and what was revealed showed a fascination glimpse into a bygone era. 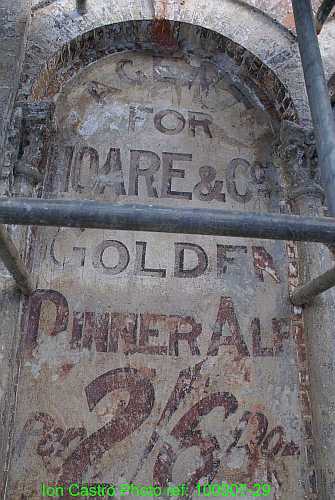 Two of the panels uncovered on No 23 advertised Hoare & Co’s ‘London Cooper’ and ‘Golden Dinner Ale’, both at 2/6d a dozen – that’s 12½p a dozen in today’s money – inflation or what! 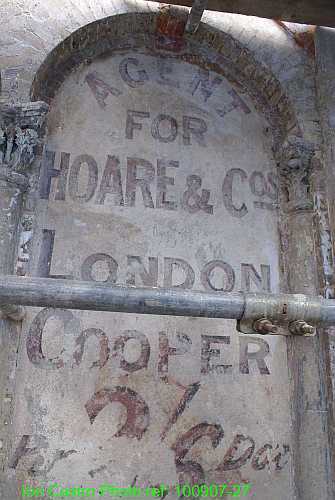 Hoare & Co Ltd, were at the Red Lion Brewery, Lower East Smithfield, EC1. 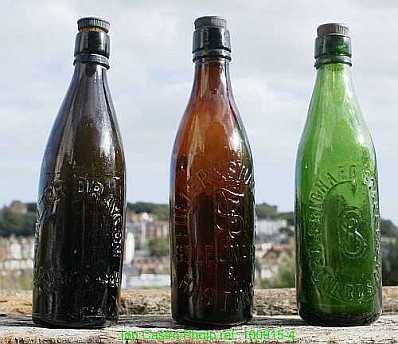 Founded 1n 1700, taken over by Charrington in 1933 and followed by the brewery closing in 1934. 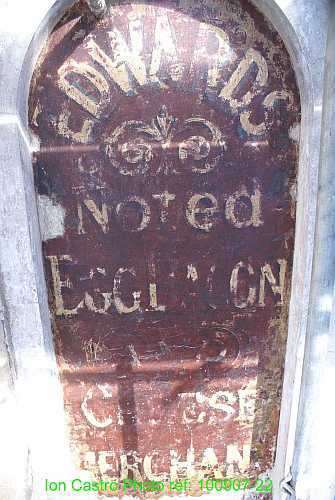 More ads proclaimed that Edwards was a ‘noted eggs, bacon and cheese merchant’. Not surprisingly No 24 carried adverts for Veal, Mutton, Pork etc. What of the shops themselves? A quick look in a few local street directories reveals that in 1889 No 23 was occupied by J N Edwards, described as a tea dealer etc. – just as the adverts showed so the beer ads may not have been from his era. By 1901 Fuller & Swatland, Grocers & Wine & Spirit Merchants were trading and they were still listed over sixty years later, many older readers will remember the firm who also traded at 11 (Old) London Road Ore, 203 Harold Road and 2& 2a Elphinstone Rd. By the 1970’s they appear to have left Kings Road. 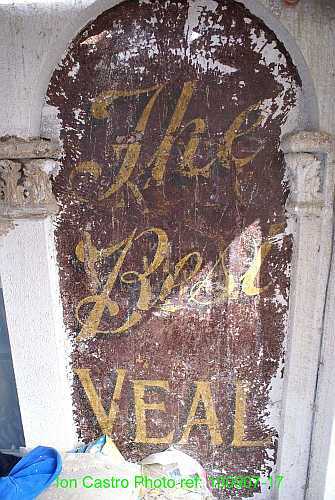 In 1889 No 24 was occupied by W J Coker, Surgeon Chiropodist but that may have been in the rooms above the shop. By 1901 Fredk. N Rymill, butcher was there, he too still being listed in the early 1960’s. 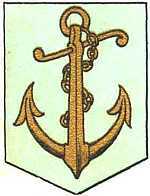 Rymill was a well-known local councillor, with Rymill Road in Hollington being named after him. By 1972 ‘The Bakers Oven’ was occupying the premises. Fuller and Swatland were, as we could see from the signwriting on their shop, not just wine & sprit merchants they were also beer sellers and even had their own beautifully embossed bottles to sell it in – it’s unlikely that they brewed the beer themselves, it was probably bought in in barrels and decanted into the bottles in the shop. F&S were not alone - in 1901 Walter Draycon, just up the road at No 32 was also selling beer in his own branded bottles and Richard Stace, listed in 1889 and 1901 as running the Yorkshire Grey just round the corner in London Road as well as being a “Coal & Beer Merchant and insurance agent” at premises at 44 Marina & North Road Bohemia was also selling beer in his own bottles. 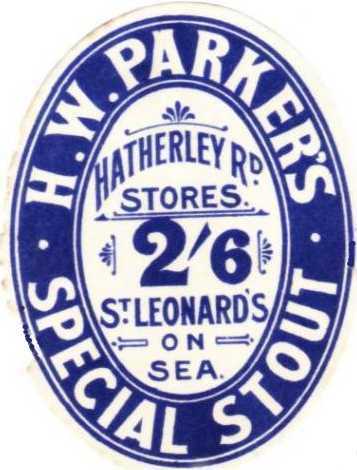 In 1901 H W Parker was selling beer under his own label at the Hatherley Rd Stores on the corner of Hatherley Road and Alexandra Street (now Alexandra Road) with no evidence that he brewed it. There were probably many others. Photos and text copyright (c) Ion Castro 2010 - if you want to re-use any of this stuff then please get in touch with me first!